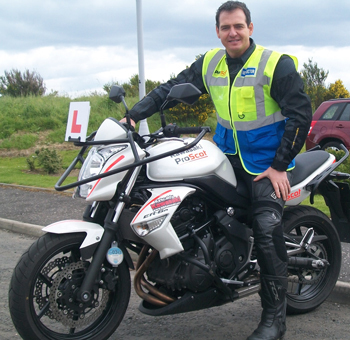 “If any of my friends, colleagues or motorcycle students are, through no fault of their own, involved in a motorcycle accident, my first piece of advice is always ‘Speak to Brenda Mitchell’. “Invariably, they tell me how easy Brenda is to talk to, how easily she grasps what happened and how much she knows about motorcycle accidents and motorcycle accident claims. And if their motorcycle accident claim was previously being handled by a lawyer appointed by their insurance company, they always tell me that, after months of getting nowhere, following just one conversation with Brenda, they finally feel they’re getting somewhere. “Brenda is a highly-experienced lawyer with an exceptionally high level of expertise in motorcycle accident law – but that’s not the only reason people like being represented by Brenda. “Brenda’s very open-minded, very approachable – and passionate about her role as a motorcycle accident lawyer. And she really cares about her clients. To me, that’s what makes Brenda Mitchell special. “I also know Brenda as a motorcyclist. Brenda passed her motorcycle test in her early twenties but after having her children, her motorcycling exploits were confined to off-road jaunts. Then, a few years ago, she decided it was time to return to the road. “Brenda started off by undertaking ProScot’s refresher course, which re-established the motorcycling skills she’d learnt previously and introduced her to new skills. This helped Brenda regain her confidence and she was soon riding her motorcycle on the road, while also further developing her skills by attending ProScots’ extensive range of advanced motorcycle training courses, including the Advanced Cornering Techniques Course. “This two-day course, which, on this occasion involved riding to the west coast of Scotland and back, included one of the most challenging motorcycle rides I’ve ever done. As we left Oban at the start of the second day, the heavens opened and it didn’t stop raining until we returned to ProScot in Kirkcaldy at 7pm. Conditions were horrendous but, despite being soaking wet, incredibly cold and riding on flooded roads, Brenda successfully completed the course. I think (www.proscot.com).